Here are the suggested combinations from the Drama Menu community. Click a link to be INSPIRED! Creative theatre games – New Term Creativity! Focus, focus and well… more focus! 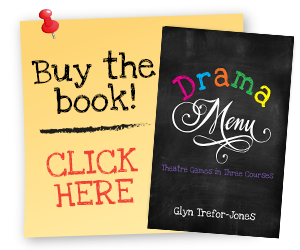 FUN theatre games from Drama Menu! Theatre Games For A Large Group.